More details on Popeye's Louisana Kitchen's new location in Post Falls , the first in the Inland Northwest. While we haven't seen any physical construction work occur just yet for the future Popeye's Chicken location in Post Falls, rest assured the plan has not gone away and Post Falls will still be getting a Popeye's . In fact this week we received some, I guess you could say, "leaked documents" explaining the plans for the restaurant and showing that the bid date for subcontractors on the project has just closed meaning we'll likely see the building coming up sooner rather then later. - The construction phase is estimated to be + / - 3 months from start to opening . - It will be built on the northeast corner of Hwy 41 & Neufeld Ln. ( 767 N. Neufeld will be it's address ) . This is directly across from Wendy's and immediately south of the plaza with State Farm . - It will be 3149 square feet which my research has concluded is a common size compared to most other recently opened Popeye's locations. - Vandervert Construction of Spokane will construct the restaurant and Norcal Cajun Foods of Concord,CA will in fact be the franchise owner. While it seems like the Post Falls location will likely be the first location of Popeye's to open in our area it is important to note that another Popeye's Lousiana Kitchen location is in the works in North Spokane. That location will be at 6720 N. Division and it is also still coming but since we don't have as much details on that project just yet we will likely post about it at a later date here on inlandnwbusiness.com . We also are still waiting to see project renderings / finished product example photos for both sites and will likely also post those later, as we get ( or find... ) them. - The company has over 2500 locations and continues to grow. The company has recently had our general region on it's radar with several new locations planned / now open for business in Montana. - Popeye's is the second largest quick service chicken restaurant by number of locations. In addition to having locations in much of the US, Popeye's also has locations in 30 countries from Canada to Vietnam. Reckless Boutique may be one of the newest businesses to open in the N. Monroe St. corridor but it's owners are far from new to the business. 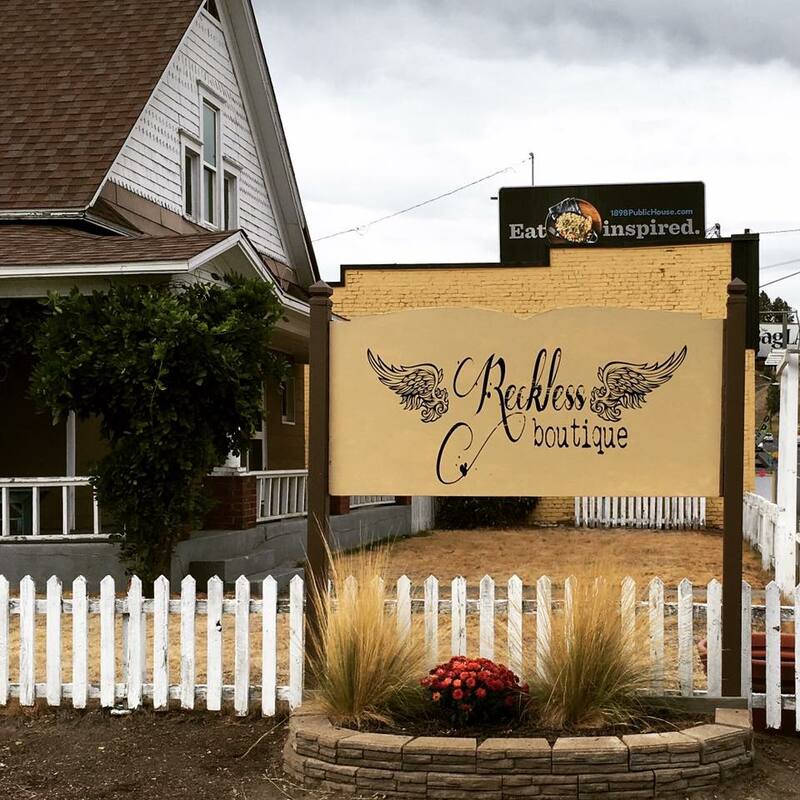 That's because Reckless Boutique is from the same owner and in the same building as the established Buffalo Girls Vintage store at 3103 N. Monroe St. The business will occupy the ground floor of the building and Buffalo Girls Vintage will occupy the second floor, both complimenting each other nicely. Reckless is already open and is described as " a retail boutique with carefully curated clothing , jewelry and gift brands for men and women ( and their fashionable pups ) " . Love shopping at Spokane's many locally owned and operated boutiques? Always have an eye out for a cool new vintage piece for your home? Then you'll want to the pay a visit to 1889 Salvage Co, a new vintage goods retailer that opened in September at 2209 N. Monroe. 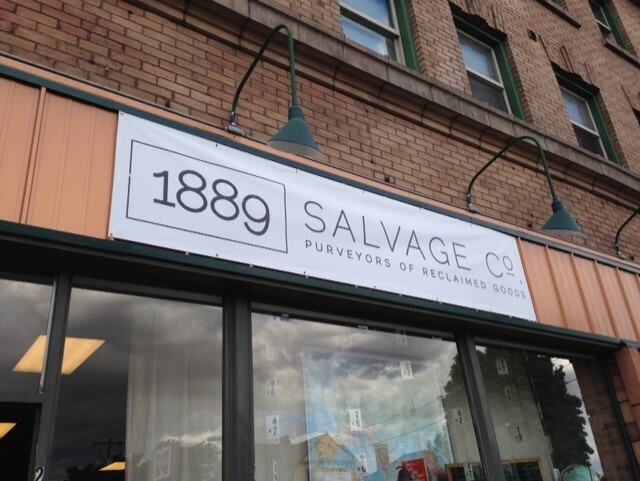 The name 1889 pays respect the Great Spokane Fire of that same year and the store is packed full of exciting finds. They have everything from small items like vintage handbags and boots all the way up to larger items like coffee tables and more to decorate a home or business. And, new inventory items are always being added. A new up and coming chain of children's cooking schools has a new location in the works for a site in Hayden to serve the Coeur d' Alene area. The location will be a franchise and will open for business sometime early next year in the former Mother's Cupboard Nutrition store in the Prairie Shopping Center by the corner of Prairie & US 95 . Young Chefs Academy describes itself as unique culinary experience which offers cooking classes to children in a safe environment that encourages discovery and creativity. The location will have weekly classes and workshops in addition to more special events like birthday parties and camps. The chain is a Texas based company who lets kids cook for real and build their skills early in life. The business might even inspire some of the future chefs opening restaurants written about on this very site. They currently have about 20 locations with 2 locations other then Coeur d' Alene / Hayden that are also opening for business soon. The Couple of Chefs food truck has officially opened the next phase of their culinary empire, and while Couple of Chefs is still operating they have also branched out with their first brick & mortar restaurant. That restaurant is Bruncheonette and it opened last week at 1011 W. Broadway , a couple of blocks from the Courthouse & Kendall Yards. Bruncheonette is a breakfast & lunch establishment that's a bit unique with items like a tamale waffle , healthy Elvis chocolate & banana protein pancakes, verde hash and much more. More common breakfast items can also be found at Bruncheonette like biscuits & gravy and so much more. Keeping with the brunch concept some sandwiches and salads are also on the menu. Also coffee is available with locally produced Roast House Coffee being brewed fresh. They also allow event space rental for groups with catering service also still available. Tecate Grill re-opens on Northwest Blvd. Re-opening after closing down their last location in the Spring is Tecate Grill. The business anticipates to open soon, while there is no opening date set yet they will likely be ready for customers in early November. The new Tecate Grill will be in their own building at 2610 W. Northwest Blvd. . For the most part the new location will have the same menu of Mexican dishes with lunch & dinner available. It's opening day for Urban Outfitters Spokane! What began as a rumored " mystery retailer " coming to River Park Square in the Spring of 2015 is now a reality. The Philadelphia based Urban Outfitters chain will officially swing open the doors to the their first store in Spokane this morning at 10 am. Today may be the first day in business for Spokane's Urban Outfitters but there main grand opening celebration will be held on Saturday ( Oct. 22nd ) with local vendors during the day and live music later on in the event. Urban Outfitters is in a newly constructed building at the corner of Main & Wall connected to River Park Square in Downtown Spokane. The building is at the site of the former Saad Building and will the store will eventually be joined by STCU and Rocket Bakery in occupying space in the new modern looking commercial building. Urban Outfitters offers clothing , accessories, footwear, houseware items & more . The chain has a bit of a cult following with a younger crowd like college students, hipsters and similar. The company now boasts over 400 retail stores around the world and a significant online presence. The new store takes up most of the new 10,000 square foot two story building and is just one part of the transformation happening in the area as Wall St has been completely re-built from W. Main north to Spokane Falls Blvd. which is now more of pedestrian friendly plaza that the City says will act as a gateway into the newly re-done Riverfront Park once that project starts to wrap up in the coming months and years. A grand re-opening celebration for N. Wall St is also being held by the City of Spokane on Friday at 11:30a - 1:30p with a ceremony, food trucks and contests to win shopping sprees from Runners Soul , Nordstrom and Urban Outfitters. Once a favorite bakery with locations in Spokane, Liberty Lake & Coeur d' Alene , Great Harvest Bread Co. has been completely gone from our area since their last local location abruptly closed. That was back in early August, but fans of the Montana based chain won't need to mourn too much longer as Great Harvest Bread chain is returning to Spokane. They have found a new franchise owner and will actually re-open in the old store location on the South Hill at 2530 E. 29th Ave. The new owners say they have done a lot of cleaning and have been busy putting in some new walls and floors in the space but will still re-open with mostly the same menu as before. Hiring is underway now and they plan on opening there by Oct. 21st. 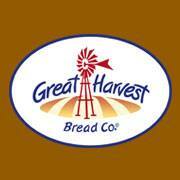 Great Harvest Bread Co. has been operating since the mid 1970's with the first location being in Great Falls,MT . Today, Great Harvest Bread Co. boasts over 200 locations in multiple states including Alaska & Hawaii. And, of course as the name would imply the company bases much of their success on their bread , breads that they make from scratch everyday using carefully selected wheat grown in Montana's " Golden Triangle ". Great Harvest Bread Co. sells all of their delicious breads in store, but also puts them to go use with fresh made sandwiches & paninis with sides like chips & cookies making Great Harvest Bread Co. a perfect spot for a quick lunch. In addition to the sandwiches Great Harvest also offers scones, cake breads , muffins and much more. Catering service is also available, as is larger bread orders for holidays and events. The latest buzz around the Spokane coffee shop scene is a new place setting up shop inside the former ReBoot Coffee Bar & Tech Services building, nearby Fred Meyer on Thor ( 501 S. Thor ). I'm told the Computer Services side of the business will be relocating elsewhere allowing the coffee business to take over the entire building, along with some exciting new additions. They also will have some small plate food items and do plan to continue selling their coffee / espresso drinks using coffee roasted locally by Roast House Coffee . The business will remain open during the entire transition as will the on site drive up window. The new spaces they say will be an innovative way to keep you healthy with joints, muscles and facial surgery all under one roof . The complex promises to be state of the art with clinics for chiropractic and soft tissue modalities including: Active Release Techniques , Gastron Technique and massage. 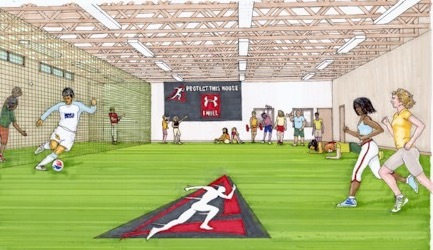 Local athletes will want to make note of the new space in The Academy of Sports Performance section as it will also offer a full weight room , fitness studios , batting cages and a giant indoor turf area suitable for all kinds of teams and athletes. This is an exciting partnership between these 3 locally owned and operated businesses . All three are currently already operating elsewhere in Spokane presently. And, as per a recent article in the Spokane Journal of Business , the businesses that plan to open there will likely move in around Feb or March of 2017. Christian Brothers Automotive, an already well known automotive repair business in other parts of the country is heading our way. A local franchise of the Texas based chain has been established and construction on the first Spokane area location is already under way. 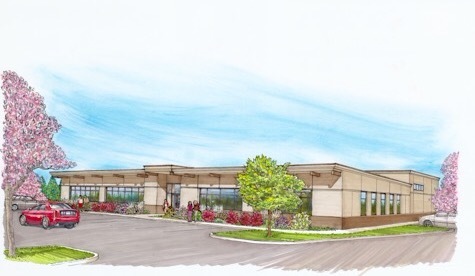 The new Christian Brothers Automotive will be located in a new construction stand alone building in Liberty Lake at 23819 E. Appleway , across from Huntwood and in front of the Valley Young People's Clinic. The new auto repair business will have 5215 square feet of space and will surely create some new jobs. Exact details beyond this however, including opening date are vague as Christian Brothers Automotive corporate didn't want to comment at this time. Christian Brothers Automotive as a full service auto repair business with over 100 locations already open and many more planned to open in the future. The company was founded in 1982 based on what they feel was a void in the industry with " customer service and honest, genuine auto repair was tough to find " they say. And, today they still follow that same business concept that they started with more then 30 years ago. All locations of Christian Brothers Automotive provide full service auto care, from basic oil changes all the way up engine replacements, etc. Online appointment booking is available as is a free courtesy shuttle . The company's locations feature more then average service bays to get the job done faster and a clean, convenient on site waiting area. To our knowledge the Liberty Lake Christian Brothers location will be the only on in our area for now. Most of the company's locations fall in Texas and the Midwest but they have slowly been creeping this way with locations already open in Billings & Meridian,ID . Liberty Lake however will be furthest Northwest the company has come to date. Local produce and grocery items from a locally owned and operated business, that's what customers will find at one of the newest stores along Garland Ave. in Spokane. The business which is called The Garland Mercantile opened a just a few weeks ago at 823 W. Garland, although the people behind the business also ran a produce stand inside the now defunct Spokane Public Market during most of that market's run. 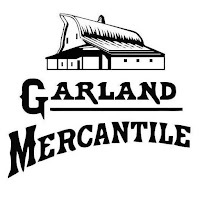 The Garland Mercantile has most any kind of produce you can think of from watermelon to bell peppers to you name it. Produce is fresh and in season with being grown usually within Washington State. And, of course being located in Washington the store also sells the state's most famous crop, apples , Fuji and Honey Crisp Apples being promoted as in stock as I write this. While local produce is at the fore front of their business at the Garland Mercantile , it's not all they offer. They also carry Mick's Pepper Jellies from mild to ghost pepper hot and 32 flavors in-between, Killian's Gourmet Popcorn, Tom Sawyer Coffees, four different hot & BBQ sauces including Fletchers & Booey's and so much more. And, of course being in Spokane, Huckleberry is a huge part of the business with an entire shelf in the store being dedicated to huckleberry products. The Spokane Valley area has new option for emergency restoration with a well known Spokaneite returning home to run it. The business is a franchise location of Paul Davis Emergency Services with the local location operating under the full name of Paul Davis Emergency Services of Spokane Valley. The franchise will be ran by WSU graduate Nate Brown who is moving back to Spokane after a 11 year career as an executive in the NBA, mostly with the Portland Trailblazers. Nate has undergone extensive training at the Paul Davis Training Center in Jacksonville to prepare to serve the Spokane area with the services offered by the Paul Davis Emergency Services. The company itself has been in business for 50 years and restores both residential and commercial structures that have been damaged by fire, water, mold , storms and other disasters. The company boasts offering complete services so there is no need for the expense and confusion of hiring multiple contractors . In all the Florida based company now has over 370 independently owned and operated franchises across the US and Canada. The company's services are available 24 / 7 and their staff work " hand in hand " with your property insurance company , another way Paul Davis Emergency Services works to make the clean up process quick and easy on the customer. Nate Brown will provide services to Spokane Valley , Spokane and Cheney but hopes to grow the operations locally with a few other area that franchises still available. 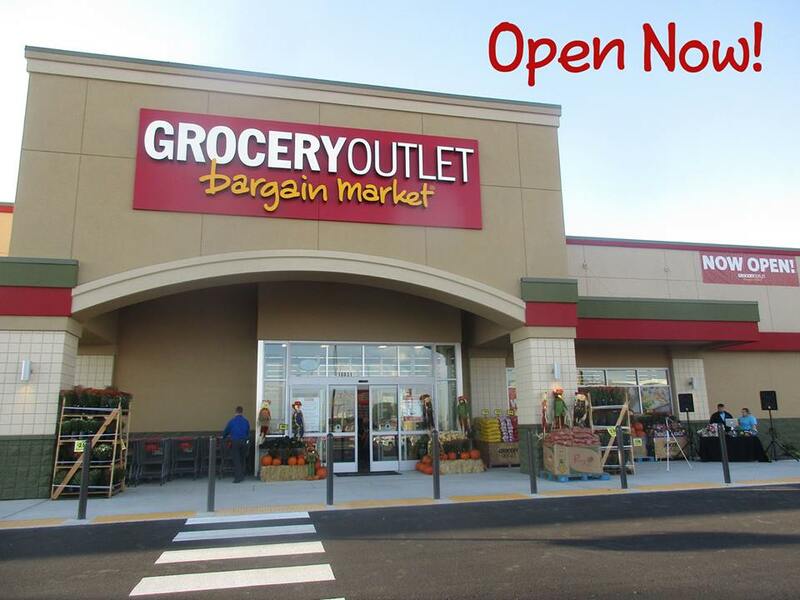 Residents of Airway Heights now have a new place to do their grocery shopping with the recent opening of a new Grocery Outlet store at 10831 W. US 2 on the east side of the city. This is the 6th store in the Inland Northwest for the chain which has been described as like a TJ Maxx but for food. The Airway Heights Grocery Outlet store sells all the same grocery lines as other Grocery Outlet locations. However given the chain's business model of selling sell out merchandise from other grocery vendors some exact brands an items are not always in stock, but when they are they are sold at prices sometimes substantially lower then the other big grocery retailers. This new Grocery Outlet is an anchor of the new Hayford Crossing shopping center nearby the corner of US 2 & Hayford Rd. The store is joined by Dollar Tree, Pawn 1 and others in the new plaza with the Grocery Outlet store occupying 17,500 square feet of space. The new store created about 25 new jobs and an increase in the local sales tax base. At this time no other Grocery Outlet stores are planned in the area to our knowledge, although the area around the new Airway Heights store continues to grow with a possible new Walgreens ,Ace Hardware and more planned within half mile of the new store. Grocery Outlet is California based grocery store chain that was founded in the 1940's originally as Canned Foods Grocery Outlet. Today the chain's 240 or so stores are full line grocers with everything from general grocery to frozen to beer & wine and more. Their stores even have a section they call NOSH ( Natural, Organic, Specialty, Healthy ) for the more healthier , upscale grocery items one might not expect to find at a discount grocery store. Locally other Grocery Outlet stores can also be found in North Spokane, Downtown Spokane ( off of Maple ) , East Central Spokane , Sprague & Pines in Spokane Valley and on US 95 in Coeur d' Alene . The Airway Heights store is open daily 8:00am till 9:00pm. More local leasable square footage usually equals more businesses and more jobs for Spokane. So it's exciting to see all that is happening in our area business & industrial parks. On the West Plains plans continue to move forward on the Rowand Commerce Park off of I-90 at the Geiger Blvd. / Grove Rd. exit and we expect to start hearing about some of the tenants the developers there claim to have already secured soon. It's hard to believe how far the Playfair Commerce Park , just a couple of miles east of Downtown Spokane, has come. Just a few years ago Playfair sat as an abandoned horse track that once upon time also operated under the Playfair name. Today companies like Scafco, Flowers Foods, Airefco Inc. , AMI Metals, Inc. and others call the already built buildings home. And now Playfair Commerce Park has started construction on another new building called Playfair 5 which will be built adjacent to Altamont St on the western side of the Playfair property. The building is already 50% leased with CWallA , a construction supply company already agreeing to open there once it is complete. This new building is scheduled to open in the Spring of 2017 and contrary to it's name will actually be the fourth building at the commerce park. Once fully built out ( likely a few years from now ) the Playfair Commerce Park will be a 58 acre campus with 100,000's of square feet of total space. The location of the park also peaked interest in some of the surrounding areas too with Able Label opening in a newly constructed facility directly across the street also just recently. Spokane Valley's Pinecroft Business Park is a popular stop for some of the Spokane area's food trucks so it would only make cense for Pinecroft to build their newest building with space for a food service operator. That's the case with a building Pinecroft's management is proposing at 12709 E. Mirabeau Pkwy. . Most of the building however will be used for office space with one tenant already locked in. PayTrace Inc. , who already operates out of a smaller space in the park will take 10,000 square feet of the 27,500 square foot purposed building. The rest is still up for lease including the 5,000 square foot restaurant space. Construction on this new building is already underway with a completion date set for sometime around April of 2017. Pinecroft Business Park boasts 14 total buildings and 400,000 square feet of space with big name tenants like the Sears Marketing Center , Next IT , Merchant e-Solutions , Amica Mutual Insurance Company and several more. And, we're still hearing rumors all over the area of more plans for the future. While I'm sure we may see a bit of lull till after the election, there is a LOT of exciting projects in various phases all over the Inland Northwest right now. From cupcakes to cakes to macaroons and so so much more, Sweet Frostings is sweet lovers dream come true. And, with a few Best of Spokane awards under their belt they must be doing something right with their customer service as well. And, now Sweet Frostings is making plans to add a small location soon at Spokane Valley Mall. The location will be a kiosk that they hope to have open sometime in November, it will be located near the center of the mall. This will be Sweet Frostings third location as their other locations will remain open, they can be found at 15 S. Washington in Downtown Spokane and 12501 N. Division St. #3 in Wandermere . They also offer party's and can do custom wedding cakes for most any couple. Opening date for new Spokane Valley Duluth Trading Company store.